I've been fairly quiet these past few days because I'm currently writing backstage during final rehearsals of the Nicholls Players' presentation of Arthur Miller's The Crucible. We open this weekend and I'm super excited! Unfortunately, I didn't get cast in the play but decided that I still wanted to work backstage; I really do love theater and the arts. 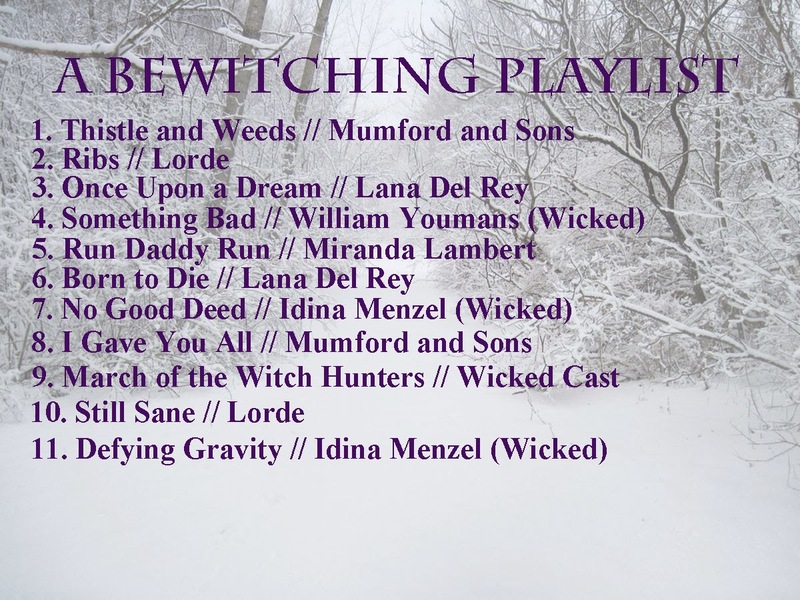 Since I've got a lot of downtime after moving set pieces between acts, I decided to make this playlist of songs that just seemed to go along with the witch-trials theme. Forgive me if this is a bit random, but all of these songs make me think of magic and witches. Of course I had to include some tunes from Wicked! You just can't think witches without thinking of Elphie and Glinda!